The most important part of your search for that perfect new rental is going to be your personal circumstances. 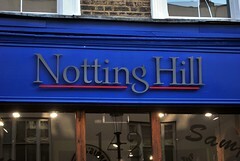 You may be thrilled by the idea that you are moving to London, but the hunt for a neighborhood, will not just be determined by the fact that ‘everyone’ lives in Notting Hill! You cannot approach living here by looking at the neighborhood alone. A better way to start looking for your new home is to make a list of YOUR needs. It’ll narrow down the search substantially and you’ll be able to find a apartment that caters to all of your requirements. This is going to be the biggest factor in choosing an area and rental home when you are moving to London. Where you work is the first item you need to look at. If you have a job lined up before you move, you need to look at how long you are prepared to commute each day. An average amount of time spent on a one-way journey to work is about an hour. If you’re prepared to spend more time getting to and from work then you may be able to live further out of London and enjoy some of the countryside. If you can’t stand the idea of spending an hour on the tube each morning, then you may have to live close to your work so it’s only a short bus ride away. If you already have friends here then you may want to live close to your social circle. This is quite important if you are an American moving to England. You’ll want to be able to mix with people from your own country and it might be easier, certainly at the beginning, to rent an apartment close to your countrymen. Remember that this is a massive city, and even if you do have friends living here, the sheer scale of the place might make it difficult to get together regularly. If you’re friends form back home are important to you then you should talk to them before you arrive about finding a new rental close to them.